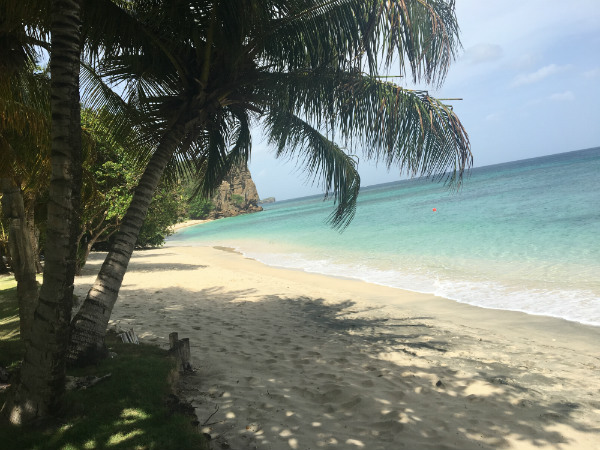 Travel specialist Trish recently spent a week exploring Grenada courtesy of the island's tourist board, staying at three unique resorts and experiencing much of what the island has to offer. Below she talks about her trip to the island which is now one of her favourite Caribbean destinations! Call Trish on 01752 880 880 to hear more about her trip or to discuss your holiday to Grenada! 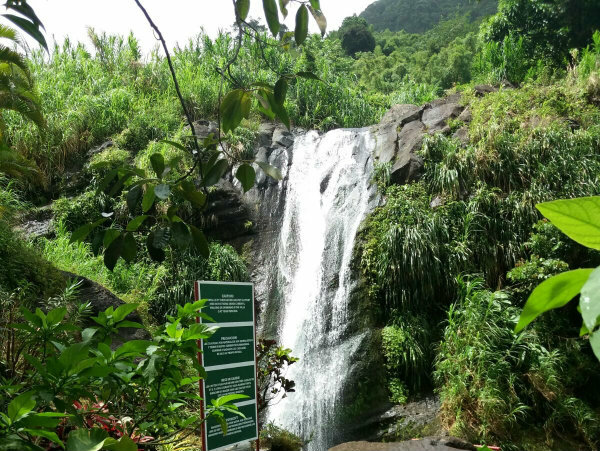 To view more of Trish's pictures from Grenada, visit the Tropic Breeze blog. 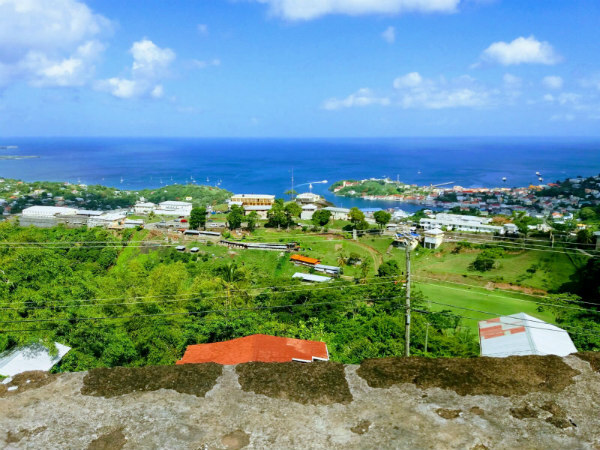 Karen also visited Grenada in 2016 so click here to read her trip diary. “I flew to Grenada with a short touch down in St Lucia, providing a good opportunity to get up and stretch my legs before the short onward flight. On arrival in Grenada we drove under 10 minutes to True Blue Bay Resort where we were based for the first 3 nights. I was staying in a two bedroom villa, perfect for families as they look out over the attractive pool area which has an artificial beach. The fun resort offers excellent value for money, with each of the rooms boasting a kitchenette for added convenience. Staff were outstanding, from the amazing welcome to the excellent service throughout our stay. Food at True Blue Bay was good, with dinner at the Dodgy Dock Restaurant being a great experience – we dined there on a Wednesday night when delicious, typically Caribbean street food is served and a fantastic live band plays requests. Highly recommended for the tasty local food, strong rum punch and a lively atmosphere! 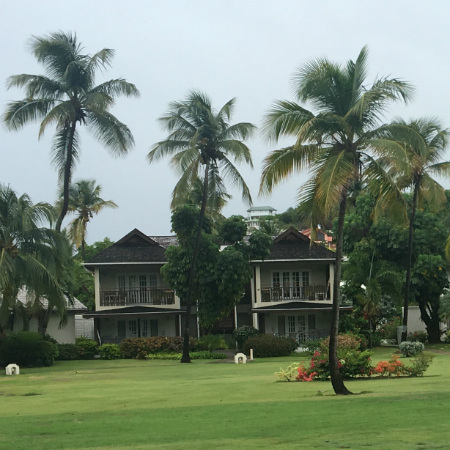 On our first full day in Grenada we enjoyed a buffet breakfast at True Blue Bay then set off on a brief island tour to see some of the highlights of the island. We started by visiting Concord Falls, an extremely beautiful setting where you can enjoy a refreshing swim in the pool beneath the waterfall– my top tip is to go with your swimming costume on beneath your clothing as changing facilities are very basic! Next we drove to the Belmont Estate, a working cocoa plantation where we were taken on a tour to learn about the production of cocoa and how it is turned into chocolate. While here we also wandered through the gardens where we met a talkative parrot called Rainbow and enjoyed an excellent lunch in an open air restaurant set amid rolling hills! That afternoon we visited Petite Anse, a boutique hotel on the north coast overlooking a rustic beach with crashing waves. 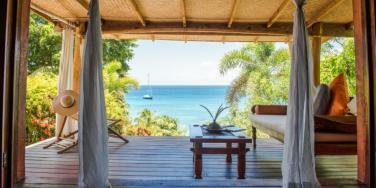 The charming, peaceful hideaway offers spacious and private accommodation as well as a lovely pool area. 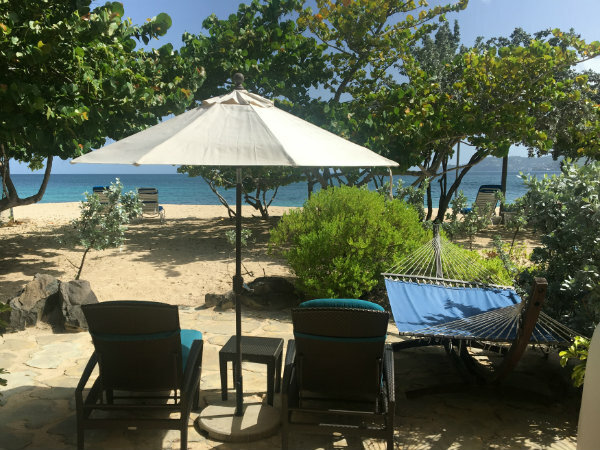 We then drove to Blue Horizons Garden Resort, located just a few minutes’ walk from the stunning Grand Anse Beach on the south west coast of Grenada. I was pleasantly surprised by the resort as it offers good value with spacious rooms and a great range of activities such as bird watching walks. The kitchens and bathrooms in the self-catering rooms are being renovated in the next few months to further improve the quality. Although the resort isn’t set right on the beach, this is not a problem as there are designated sun loungers on Grand Anse Beach for Blue Horizons guests. We dined that evening at La Belle Creole Restaurant at Blue Horizons, where inventive menus have been designed by the property’s owner. I would recommend that guests dine here at least once during their stay to experience the gourmet cuisine and fine dining style service. We started the day by visiting a couple more resorts in the south west corner of Grenada. 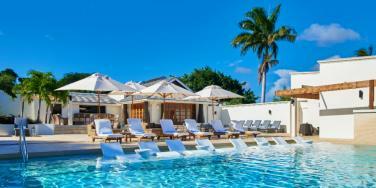 The Grenadian by Rex Resorts is a busy property on Magazine Beach, with an attractive pool area, pretty grounds and efficient staff. 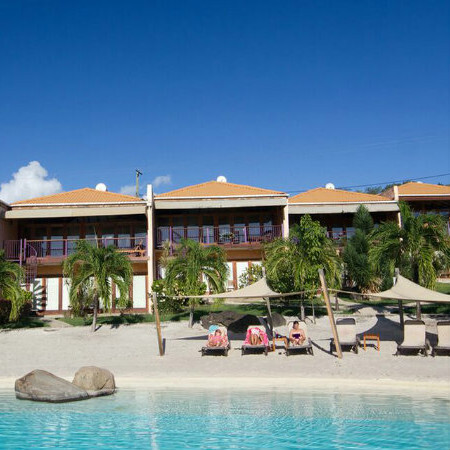 At the southern end of Grand Anse Beach is Mount Cinnamon, a colourful resort which I was extremely impressed with. The service is very good, with the friendly general manager personally welcoming guests wherever possible. I saw one of the Cinnamon Suites, a new room type which is furnished in an elegant manner with toned down colours and lovely views over the beach – a fantastic option! We enjoyed a lovely lunch and drinks at Savvy’s Beach Cabana, located just a few minutes’ walk from the centre of the resort right on the white sands of Grand Anse. Dinner that evening was at BB’s Crabback, a characterful local restaurant on the waterfront in St George’s, with a deck providing lovely views of the harbour. The restaurant serves huge portions of traditional Grenadian specialities and invites visitors to sign their name on the wall! 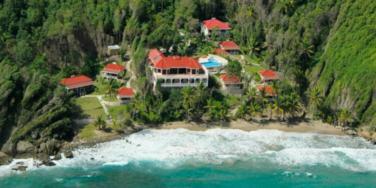 We left True Blue Bay and checked in at Coyaba Beach Resort which is set within pretty gardens on Grand Anse Beach. The resort is simple but spotless, with recently refurbished bedrooms, extremely friendly staff and a spectacular setting. We set off on a tour of St George’s, the island’s capital, visiting a lively local market selling food and clothing followed by the House of Chocolate. 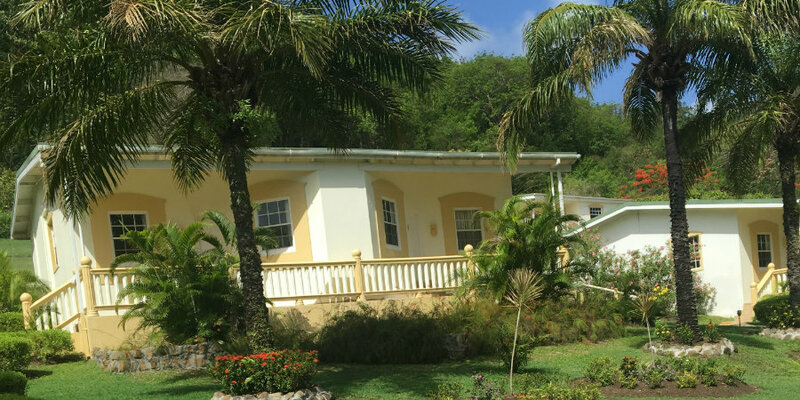 Here, the owners of True Blue Bay Resort encourage visitors to learn about the history of chocolate, also selling plenty of delicious cakes and other sweet treats. We then visited some of the forts that overlook St George’s – first Fort George which is right at the entrance to the harbour, then Fort Frederick which is slightly further inland with stunning views over the island and out to sea. As well as being a very historic setting, there is also a constant breeze here which is very refreshing on a hot day! Next we headed a few miles further inland to Annandale Falls, a fun place to visit where visitors can jump from the top of the 10-metre high falls into the pool below. Lunch was back in St George’s at the Victory Bar & Restaurant, where we enjoyed a lovely lunch overlooking the harbour. That afternoon we visited the Underwater Sculpture Park, a popular snorkelling spot north of the capital city where sculptures act as artificial reefs which help the ecosystem. Having been installed to encourage coral to grow back, sculptures are spread out across different areas with plenty of tropical fish to see both from near the surface and by diving down deeper. Back on dry land we ate dinner at Patrick’s Restaurant, where tapas-style dishes allow visitors to sample a range of local flavours and typical Caribbean cuisine – a homely and enjoyable experience. We ate breakfast at Coyaba then set off to go tubing down the Balthazar River. I was apprehensive at first, but ended up really enjoying myself so would highly recommend it! 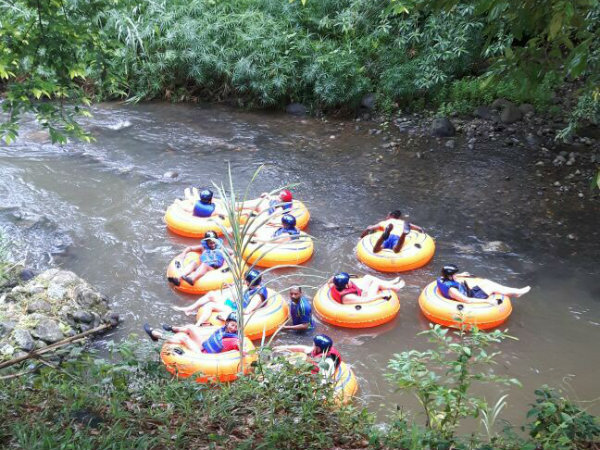 It was a rainy day so the river was high, and as I sat in the ring and floated down the river I felt like I was in a tropical rainforest. It’s a truly unique experience with excellent guides who make sure you are safe and having fun. Again, I would suggest that visitors go wearing a swimming costume as the changing facilities are quite rustic. Lunch was at Aquarium Restaurant at Maca Bana, one of the best meals I had on Grenada. The beachside restaurant serves amazing salads as well as delicious fish and chicken straight from the grill, all at a good price with lovely views of the sea. I would definitely recommend visitors to Grenada stop off here for lunch at least once during their stay! I spent the afternoon relaxing by the pool at Coyaba before heading to Coconut Beach Restaurant for dinner. Set in a lovely location right on the sand at the northern end of Grand Anse Beach, the restaurant offers typical Caribbean cuisine, delicious cocktails and good service. We checked out of Coyaba Beach Resort and stopped off at a colourful local school, giving stationary and books to the lovely children. We then visited Laluna, a romantic resort in a pretty, secluded location with a style that blends Caribbean, Asian and Italian influences. Two very special villas are set up on a headland overlooking the sea, each with a contemporary design and luxurious touches including a golf cart in which guests can drive around the resort. From Laluna we drove to Sandals La Source for lunch, a vast resort set within lovely grounds. Bedrooms are furnished in a beautiful style, a large variety of restaurants offer plenty of choice, plus a wide range of activities are included such as scuba diving. We checked in later at Spice Island Beach Resort on Grand Anse Beach, which was even prettier than I had imagined. I had high expectations of the resort and it certainly did not disappoint – the staff can’t do enough for you, the food was excellent, the spa is fantastic and offers very good massages, and the beach is absolutely stunning. I stayed in a Seagrape suite, which despite not being the top category, in my opinion is definitely the best. 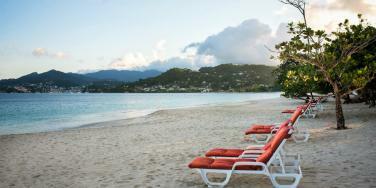 Waking up to the view of Grand Anse beach and stepping straight out on to the sand is pure paradise. Exactly what the Caribbean is all about! Dinner that evening was a 7 course menu at the resort’s seafront restaurant – fine dining with formal service and interesting flavour combinations. We ate breakfast at Spice Island then set off to visit Calabash Boutique Hotel & Spa, a fantastic property set within tropical gardens beside a pretty beach. Even though it was raining when I arrived at the hotel, the hotel still looked beautiful! The rooms are decorated to a high standard and are very comfortable, while the pool area is extremely attractive. I was also impressed with food, arguably the best I had during my week in Grenada – we had a delicious tapas-style lunch at the beachside restaurant where the food was plentiful with dishes including Caribbean curries, fresh fish and a deconstructed banana crumble. If you are looking for a high end smaller property that offers great customer service and extremely good cuisine, Calabash is the one for you! After lunch we returned to Spice Island for the afternoon, before enjoying cocktails and dinner at the resort. As this was our final night in the Caribbean we ventured out to the nearby Bananas Bar, a popular spot particularly on a Tuesday night when a DJ plays until the early hours and a fun yet safe atmosphere is guaranteed – a great way to end my time in Grenada!" 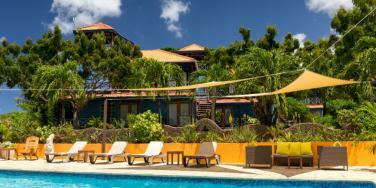 Call Trish on 01752 880 880 to hear more about her trip to Grenada and the hotels she visited. 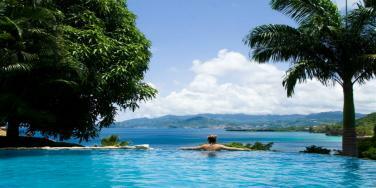 Many of our travel specialists have also visited Grenada so will be happy to help with any enquiries! 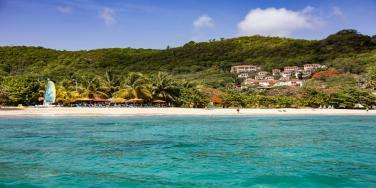 Find out more about holidays to Grenada on our website.